Disclaimer: I really want to thank my good friend Tom Powers for reviewing this book. Yes, I am the author of the book, and, yes, I recognize that posting a positive review of my own book on this blog may not be the most objective thing to do, but I’m still glad that Tom found the book so enjoyable! 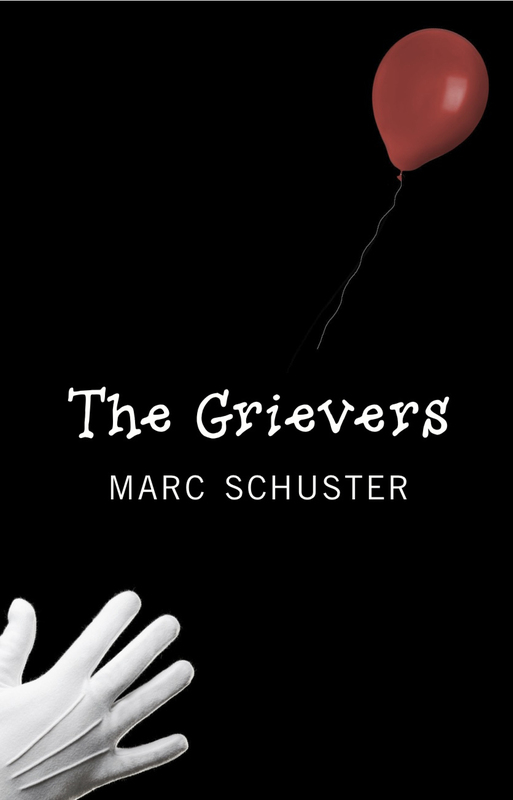 The other day, while I was tutoring English at the college where I teach, my colleague Bobbie walked up to me and exclaimed, “I’ve been reading your friend Marc Schuster’s novel, The Singular Exploits of Wonder Mom & Party Girl, and let me tell you – Marc is a brilliant author!” She then went on to tell me that Marc has truly captured the voice of a woman struggling with divorce and addiction – no easy task for a male author who has fortunately not experienced these terrible hardships. Hearing Bobbie’s words, I was immediately reminded that I always enjoy Marc’s writing because he goes outside the boundaries of his own life experiences and builds three-dimensional characters and worlds with which readers can universally identify. In his heroine Audrey Corcoran, Marc indeed creates a realistic character whose struggle is equally tragic and comedic. It is also the unique manner that Audrey’s story unfolds in the novel that shows Marc deftly playing with time in a complex layering of cause and effect. As these chapters play off each other like shadows and light in a chiaroscurist’s painting, we can sense that Audrey is potentially heading for some sort of breakdown. Through Marc’s writing, however, we are enthralled in reading her journey to the dark side and poignantly reminded how our impulsive choices can destructively reverberate further down the road in our own lives. Audrey’s vivid characterization is nicely complemented by the people in her life: her two precocious daughters, an ex-husband who insists on Audrey being his best friend, his gorgeous, “younger model” wife, a jazz aficionado love interest who dabbles with cocaine, and a man who goes by the code name “Captain Panther.” Throw into the narrative mix a best friend who helps feed Audrey’s growing coke habit and a boss whose salacious mindset humorously twists the tone of the food magazine for which she writes, and you have a cast of characters who keep Audrey energetically bouncing amongst her complex roles of devoted mother, passionate lover, loyal friend, and confused drug-user. Marc’s novel likewise works as a cautionary diatribe on our consumerist society, as it shows how the image-driven demands of our mall-culture conflict with the needs of the individual’s search for identity and contentment. Being members of a media-based country that loves the downfall of our real-life tragic heroes of the female variety, particularly Martha Stewart, or on a darker note, Heidi Fleiss, potential readers will be naturally attracted to Audrey’s tale. 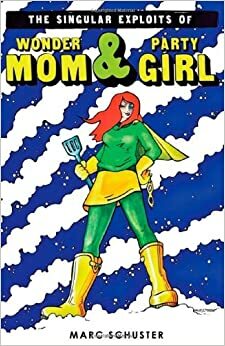 To anyone of us, then, who have been either dumped by our spouses, forced to raise children virtually alone, or faced the demands of a merciless, youth-based society and the tyranny of mounting credit-debt, The Singular Exploits of Wonder Mom & Party Girl will undoubtedly speak volumes. I’ve been a fan of of The Permanent Press for some time now. Charles Holdefer’s The Contractor, for example, is a wonderful novel that speaks humanely and eloquently to issues surrounding human rights and the current debate over what to do with prisoners of the war on terror. Likewise, MF Bloxam’s The Night Battles offers a nuanced read on the complicated relationship between myth and reality, and Chris Knopf’s Sam Aquilano mysteries are always good for a summer thrill. Their latest title, Maud Carol Markson’s Looking After Pigeon is a compassionate coming of age story that deftly blurs the line between fiction and memoir. Markson’s genre-bending begins with the novel’s front matter. The dedication is followed by a “Special Thanks” page in which the author thanks, among others, her husband, and on the following page, Markson offers a foreword. Yet the reader is not initially sure who’s speaking in this foreword. “Memory is a funny thing,” we’re told in a matter-of-fact voice that could easily be the author’s. Additionally, we’re told that the man who lives with the speaker has encouraged her to relate the events in the book. A purposely vague allusion to the husband mentioned on the previous page, or a fictional character? As it turns out, the answer is the latter, but the incremental movement from dedication to special thanks to a foreword allows the reader to move almost seamlessly into the world of Pigeon, a five-year-old girl who moves with her mother and two older siblings to a shore house after her father leaves the family. As Pigeon’s “memoir” progresses through her first summer without her father, the frailty of memory becomes as much a focus of the novel as the uncertain first steps toward adulthood. Throughout the novel, Markson lovingly paints Pigeon as a young girl who wants nothing more than to make her family happy even as life complicates her efforts. Her uncle leads a secretive double life. Her mother is becoming involved in something resembling a cult. Her sister’s romantic liasions are leading to trouble. Her brother aspires to be a boardwalk fortune teller. As all of the novel’s plots unfold, however, Markson drops in minor inconsistencies and anachronisms, thus forcing the reader to wonder about Pigeon’s reliability as a narrator. Why, for example, does she speak so eloquently for a five-year-old? Why does she quote from the Beatles’ “Octopus’s Garden” while insisting that she’s listening to “Yellow Submarine”? And were Super-Size meals available from McDonald’s at the time the events described in the novel took place? The answer, ultimately, is that none of this matters, for Pigeon is an adult who is struggling to reconstruct her childhood, and if memory fails her at times, her gift for understanding the “heart-truth” of the matter (to borrow a phrase from Tim O’Brien) is what lends credence to her tale. Along these lines, Markson’s gift for characterization is obvious throughout the novel. Case in point, a description of her sister, Dove, who is “most herself when in front of other people as if she were a television set, filled with entertainment and even glamour, that was made to wait blank and empty until someone came to turn her on.” Ultimately, it’s Markson’s facility with creating strong characters that makes Pigeon’s world so believable even if the minutia of this world is not always in line with historical fact. It’s the world as she remembers it, a world of colorful characters and larger-than-life scenarios. As a result, Looking After Pigeon is an engaging read with hints of Augusten Burroughs, Harper Lee, Elizabeth Mosier, and Heather Sellers. A great book for summer. Pity the poor aphorist! Laboring neither in the turgid field of philosophy nor in the all-so-pragmatic realm of the proverb, he struggles for purchase somewhere between the two. Yet as Yahia Lababidi’s Signposts to Elsewhere demonstrates, that struggle can lead to some wonderful insights.